While customization, when not properly planned and justified, can be problematic there are good reasons to customize your system to create long-term, sustainable competitive advantage and build discipline in your organization. I will follow this up with some specific examples of customizations I have built for these reasons and others. 1. Leverage your people for more value added activities. I'm not opposed to relying on people for some things but I don't see the value in having them enter and process data that the system could process unassisted. I've seen too many Controllers that function more like glorified GL Clerks. They spend more time entering and managing data than analyzing it to make decisions. Customizing your system to automate non value added tasks and deliver high quality information could enable you to convert your high paid data entry clerks back into analysts and controllers which in turn would help you identify cost saving and revenue generating opportunities. 2. Eliminate waste and redundancy to make your company scalable. Growth companies are always dealing with too few people doing too many tasks. Everyone is overworked and the pipeline of new work seems endless. As sales and production volume increase so does the demand for back office and shop floor capacity. Given the current economic climate this may not be an issue again for a while. Increasing headcount in these situations is often not at the top of management's list of solutions. Automating redundant and repeatable tasks could enable your organization to increase sales and production volume without having to add more people to manage the increased load. That's not bad for your margins. 3. Instill discipline in your organization. I was the CIO at a company with many geographically dispersed SBUs. They were all mandated to work consistently and without exception under a set of corporate business rules. In spite of that, the employees often chose not to follow those rules favoring their better judgement. In place of spending considerable time and money policing people to ensure business rules were being followed we programmed those rules into the system and took the binary decisions for which rules were defined away from the employees. This forced alignment of the operations with the corporate strategy. The people didn't like it much but the company grew by more than 50% in less than 5 years. 4. Save money AND have it your way. The GP channel is full of terrific 3rd party ISVs that seemingly have a solution for everything. 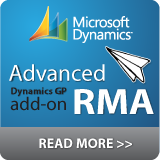 Dynamics GP also comes with some terrific tools such as Modifier with VBA that you can use to tailor or customize the system according to your company's specific business needs. When making the build vs. buy decision compare the cost of having your system customized with the cost AND the compromises you might have to make with the ISV solutions available. Sometimes, you will find that you get a better, more cost effective solution by building your own solution from scratch. 5. I'm leaving this one open for comment. 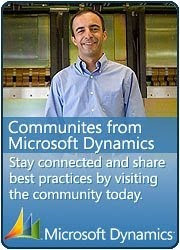 It would be nice to hear why some of the MVPs and others in the community would choose to customize a GP installation. I can think of a lot of reasons and find that the ease of customization is a great selling point for GP that is under valued. What do you think? In closing, I second Mariano's warning at the end of his article. You should plan any customizations carefully and consult with experienced professionals. However, even heavily customized GP systems can be upgraded without considerable extra effort. I don't agree with those who warn against any customization in fear of upgrade complications. Most GP projects I have worked on have been heavily customized and those that have upgraded have done so without experiencing noticeable extra pain or incurring material additional costs. This is a great article and the reasons you expose are pretty compelling! Would you consider submitting this article to MSDynamicsWorld.com? It would be a great follow up to my article and would allow people to see both ends of the spectrum. 1. Functionality that is critical to business operations. In this day and age, there is no reason to live with the cliche "the system will get you 80% of the way" solution anymore. Why? Because of the tools for customization are ratherly available and because the missing functionality is critical for the company to do business. 2. Workflow offline with business processes. Let's face it! Package software only provides certain latitude when it comes to workflow processes. In some cases, it is necessary to tailor that workflow to the current business processes, not because the company does not want to change, but because these business processes diferentiate the company from its competitors.